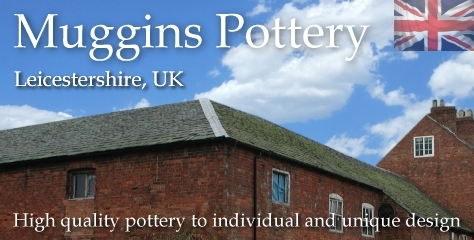 Contact us | hand-made pottery from Muggins Pottery in Leicestershire - wedding gifts, birthday presents, christening presents and anniversary gifts. We are often away at fairs, but we do mobile email, so an email is more likely to get a prompt response. ... but do bear in mind that we are often away at craft fairs. Even when we are at our studio, we will probably be elbow-deep in clay, so please try to email us rather than phone. Turn of Loughborough Road down the track and we are about 300 yards further on - turn right at the fork and head for the large barn doors. 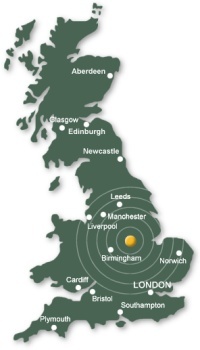 Muggins Pottery Ltd (registration number 01262929 ) is registered in England at the address above. The wale money bank has just arrived in perfect condition and it is absolutely gorgeous. And it is exactly as I asked for ... a really big thank you and I can't wait to give the wale to my baby nephew Alex.